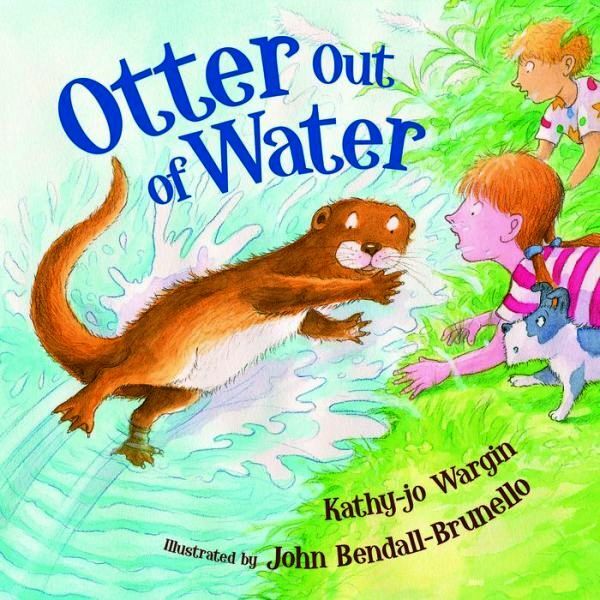 Otter Out of Water by Kathy-Jo Wargin is a cute little picture book that shows us just what can happen when wildlife gets out of its proper place in the environment. In the book, the Ranger puts up a sign telling the Otters they must stay in the water. The otter in our story is swimming around, minding its otter business, when it sees the sign and decides to follow two children home anyway. And that’s where this rhyming adventure begins. The children — a boy, a girl and their little dog — don’t quite know what to do with an otter out of water so “they hide and they slide,” and they finally go home. Otter follows them and sneaks into the house. Once inside, Otter bounces on stairs and swings on curtains. He even eats popcorn for lunch with the kids. The Ranger finally comes for him and takes him home to his family, who is worried sick over his disappearance. But that’s not the end of the story! Something funny happens at the children’s house the very next day…but I’ll leave that for you to discover when you read the book. 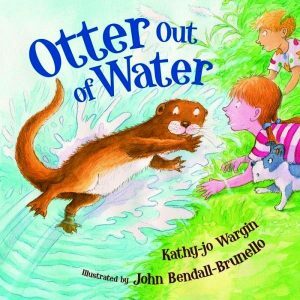 This little book of story and rhyme will bring joy and laughter to children ages four through eight, and feed their young imaginations at seeing a rambunctious otter sliding, jumping and running through a house. Artist John Bendall-Brunello’s illustrations are cute, timely, and for lack of a better word, fantastic. In fact, one might say they’re even mind-boggling, because who in the world would ever be able to imagine an otter following children home without the talents of someone like Mr. Bendall-Brunello? This book is great for story time at home or at school, and the storyline and plot definitely have a WOW factor. Enjoy!